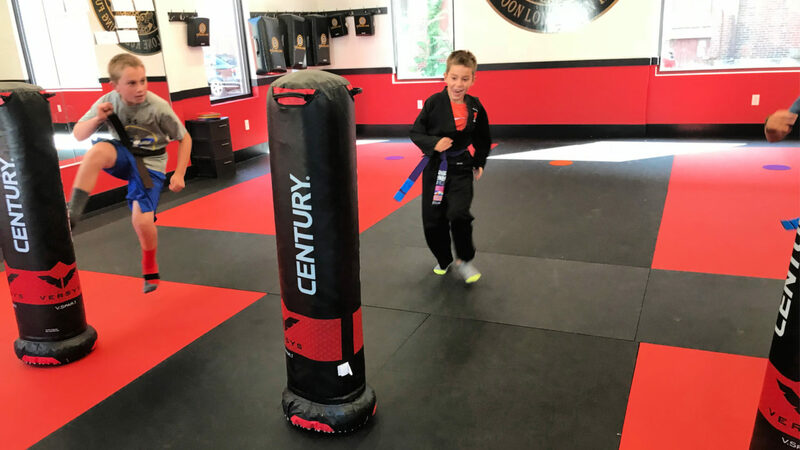 Meet George from SDSS Martial Arts of Natick. 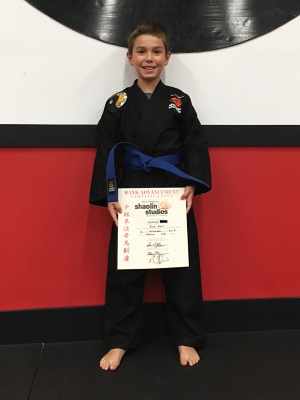 He’s a brand new blue belt, a thriving 2nd grader, and he is the focus of our Student Spotlight. George is delightfully intelligent and engaging. We asked him what he wants to be when he grows up, and he said, “A Kung Fu teacher, a pizza chef, or a paleontologist.” He went on to explain, “A paleontologist is a person who discovers dinosaurs. I want to do that.” It is easy to see how a young man like George might just grow up to do all three. He also has a good sense of what the martial arts is all about. 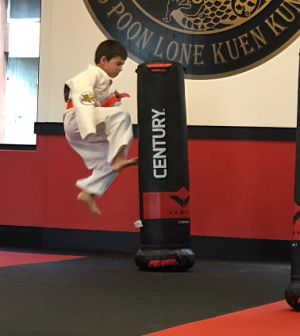 “You can use Kung Fu to defend yourself,” he said, “ but you only use it against people if something really bad is happening, and not just because your friend is being mean or something.” His teachers and his mom agree that in every way, George lives the values of Self-Discipline, Self-Control, Honesty, Patience, and Respect that make up our Life Skills program. 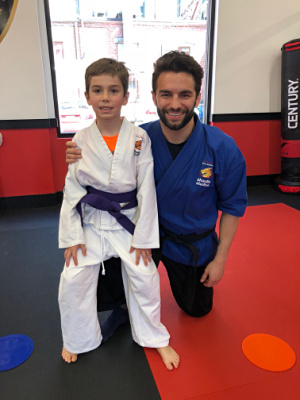 With such a great attitude, hard work, and positive energy, there is no doubt that George will reach black belt and accomplish whatever he wants to in life.